Risking sensitivity? Higher concentrations of peroxide provide a more rapid bleaching effect; however they may increase the risk of tooth sensitivity, a good reason for a dental professional to carry out the procedure in-office. 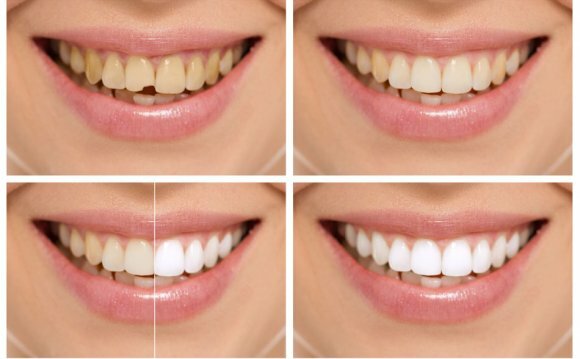 In addition to concentration, the degree of whitening is also related to the amount of time that the bleaching agent is in contact with the tooth surface; the longer the time, the greater the lightening effect and the greater the likelihood of sensitivity. Tooth sensitivity, generally to hot and cold, normally persists for no more than four days after the cessation of bleaching. Prevention of sensitivity: Recently the effect of the addition of amorphous calcium phosphate (ACP) to a 16% carbamide peroxide gel has been reported to significantly reduce sensitivity. Another approach to reducing sensitivity is by the addition of desensitizing agents such as potassium nitrate or fluoride, in the form of stannous fluoride, to produce “sensitive-formula” gels. However it can take some time to see results with these two agents. “Take home” whitening is the more commonly used technique because it is easy to perform and is less expensive. It generally involves the use of a 6-16% solution of carbamide peroxide in a gel form (approximately equal to 3.4-7% hydrogen peroxide) delivered to the tooth surface by a custom made, vacuum formed, plastic bleaching tray which can be made in your dentists office. Manufacturers have offered carbamide peroxide in a variety of different concentrations, ranging from 10% to over 20%, but the best combination of safety, limited side effects and speed of action is obtained with a 10% solution of carbamide peroxide approved by the ADA (American Dental Association).